Futurism is largely remembered as a movement of violence, Fascism and “disprezzo della donna”, or “scorn for women”, as its manifesto proclaimed, and so female Futurists can prove a complicated contradiction, often sidelined or ignored within this famously misogynistic movement. Now, at the MAN museum in Sardinia, a long overdue retrospective is finally open to the public to highlight their role. We take stock of just some of the brilliant artists whose work is on display there. Known only by her first name, Benedetta Cappa worked across an impressive range of media, from ceramics and glass to paint and metal. The tactile experience of art was of great importance to her. Unusually for the time, she had first-hand experience flying in an airplane, and, inspired by these new perspectives, set out to overcome “earthbound limitations” in paint. The resulting fusion of paint and flight with her signature rhythmic patterns of colour slices put her at the forefront of Futurist exhibitions. As well as writing poetry, she penned essays exploring women’s place in the Fascist state: “I am too free and rebellious,” she told Futurism’s founder Filippo Tommaso Marinetti. “I do not want to be restricted. I want only to be me.” She married him. 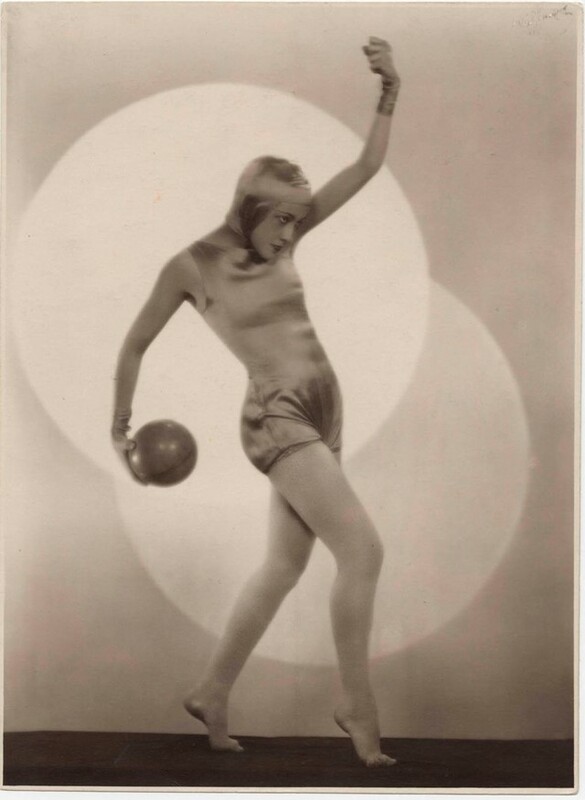 Speed and technology were fundamental preoccupations for the Futurists, so it follows that the medium of photography became increasingly important to them. Wanda Wulz came from a family of photographers in Trieste. After her father died, she took on the upkeep of his photography studio and soon strange movements, blurring, and montages were no longer errors to be avoided, but precious effects she sought to capture. 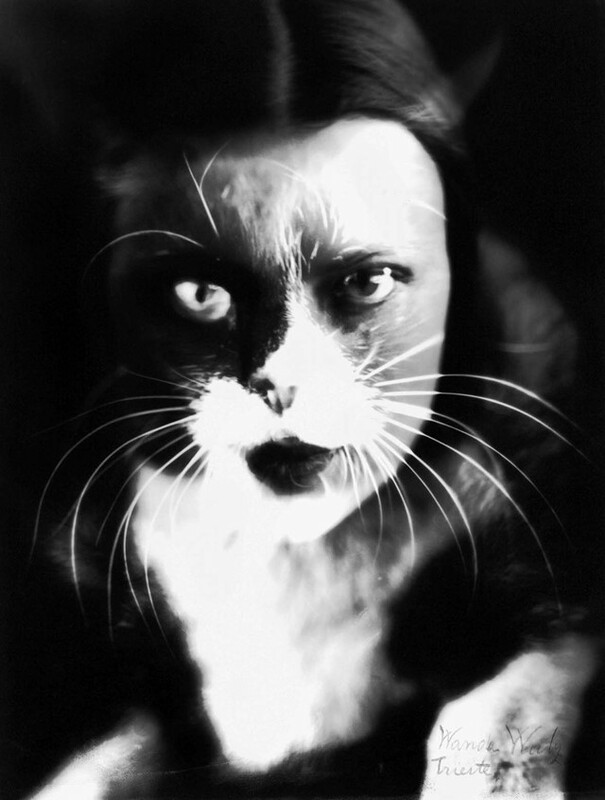 Wulz experimented with every kind of image making: one of her most famous self-portraits Io + gatto (Cat + I) sees a negative of her face superimposed with that of her cat, her inner animal appearing to peer out into the world. Form and curvature play a huge part in Regina Bracchi’s vision of Futurism, manifested in great swathes of aluminium, tin and celluloid. Bracchi originally studied at the Brera Academy of Fine Arts in Milan, before working with the sculptor Giovanni Alloati in Turin. In no time she was producing her own creations, moving away from more traditional materials such as bronze. She wrote on aluminium sculptures and theories of aerial plastics, signing the Technical Manifesto of Futurist Aeroplastics in 1934. 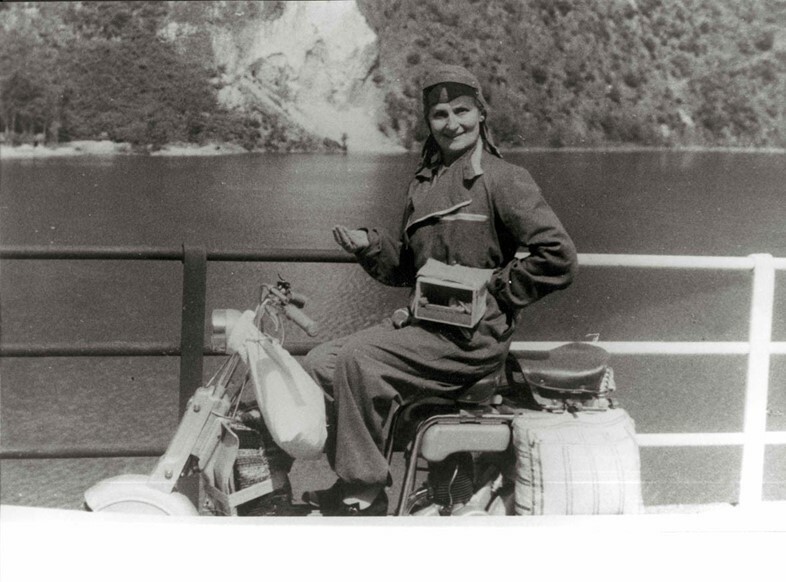 She was also known for riding around on her Lambretta carrying a pet canary in a cage. Her name means ‘Queen’ in Italian, so it’s hardly surprising she’s Futurist royalty. In accordance with her Venetian family’s wishes, Bice Lazzari initially trained as a musician before enrolling at the Venice Academy of Fine Art in 1916, but her studies were interrupted by the outbreak of war, and so she finished her education in Florence. Painting was a new kind of music for her – a “poetry of mark-making” – and she only painted with what she called the “absolute colours”: black, white, red and yellow. 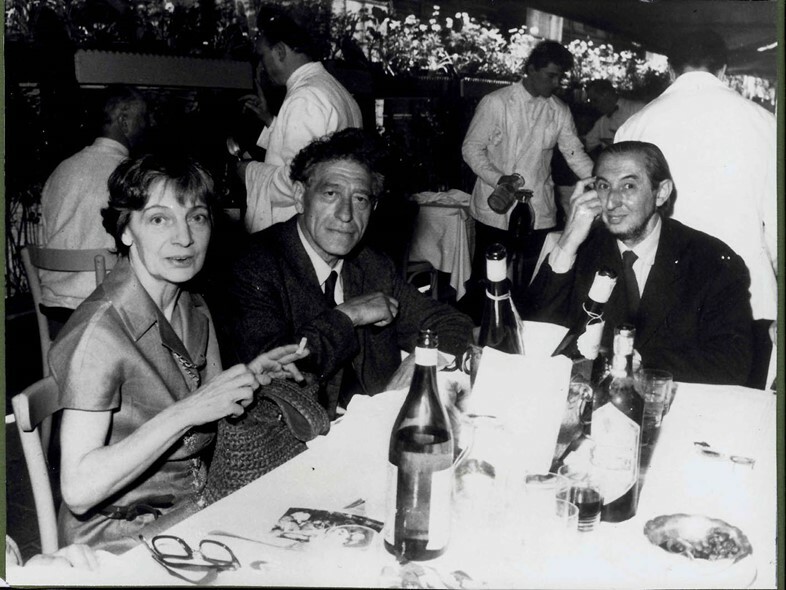 Although some debate that she belonged to any school, her time living in Rome with her architect husband just by Piazza di Spagna saw her at the centre of Futurist artistic society. 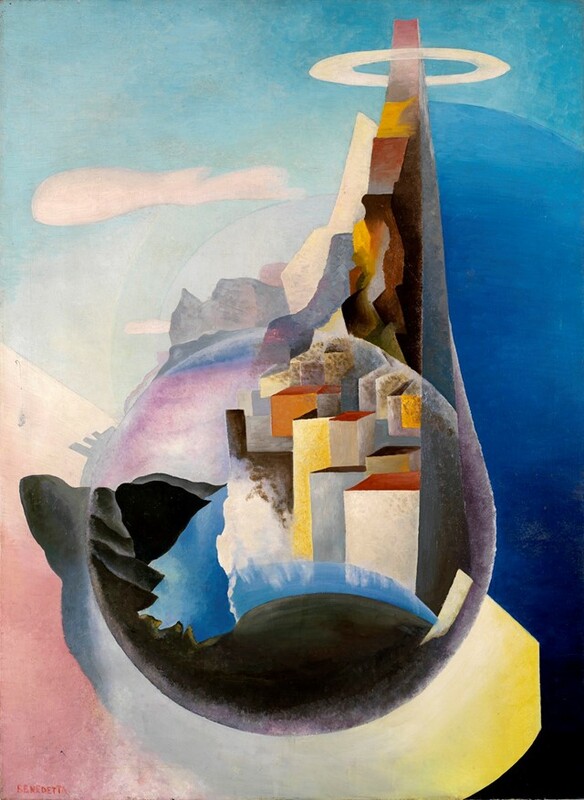 Flight and Light: The Female Futurists 1912 – 1944 runs until June 10, 2018 at the MAN Museum, Sardinia.